For the third time this meet – and the fourth time in two years – leading trainer Jorge Navarro tied the Monmouth Park record for wins on a single program with five, accomplishing the feat on Sunday's 10-race program. Navarro first tied Todd Pletcher's record on July 23, 2017. He then matched that total on May 13 and July 8 of this year. Pletcher set the mark with five winners on Haskell Day in 2016. Navarro won the 1st race with The Accuser, the 2nd race with Chovanes, the 4th race with Discreetly Placed, the 5th race with Singanothersong and the 10th race with Don' Tell Vanessa. Navarro was denied the possibility for a six-win day when What About Tonight finished second in the 8th race. On Thursday, Navarro set the single-season track record for the third straight year with his 66th victory, eclipsing the record of 65 he set in 2017. He currently has 71 winners and is well on his way to an unprecedented sixth straight training title with 10 racing days remaining. 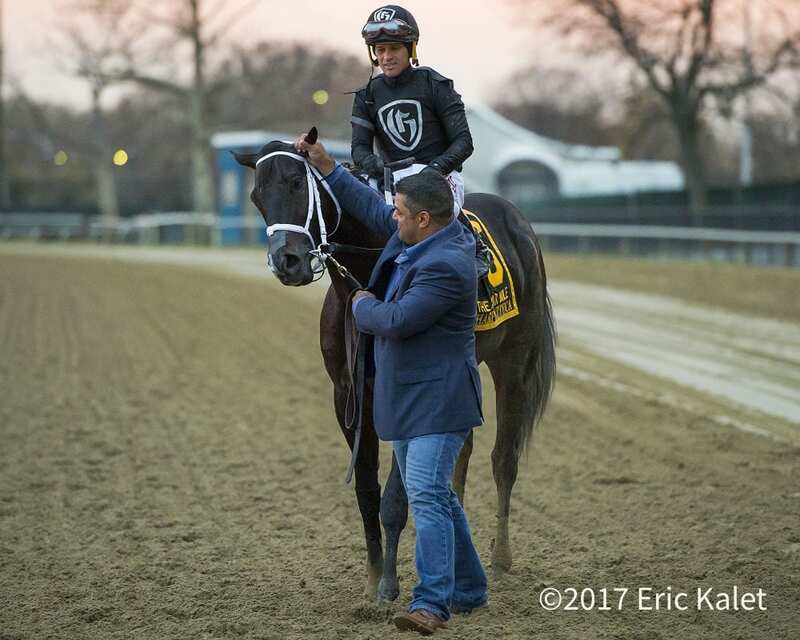 This entry was posted in People and tagged five win day, five wins, Horse Racing, jorge navarro, Monmouth, monmouth park, thoroughbred, todd pletcher, trainer by Press Release. Bookmark the permalink.